The Runaways @ CBGB in NYC - 1976. 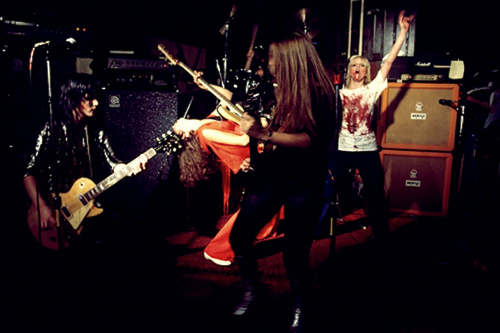 The Runaways @ CBGB in NYC - 1976. HD Wallpaper and background images in the the runaways club tagged: the runaways image live dead end justice cbgb joan jett jackie fox lita ford cherie currie 1976. This the runaways photo might contain gitaris, pemain gitar, and konser.